Transform the average weekend getaway into the trip of your dreams with the ultimate overnight tote bag. 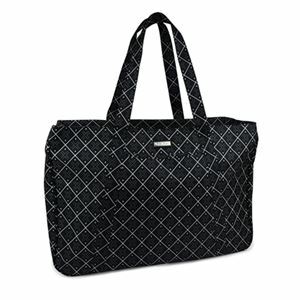 The black and white-printed Brigitte Weekender will hold all your belongings with a secure double zip-top closure and comfortable extra-wide straps. Expandable side snaps allow for extra space as you need it.